Texas Gov. Greg Abbott has signed a bill into law that banned so-called “sanctuary cities” in the state, four days after it got final approval by both chambers in the legislature. “Citizens expect law enforcement officers to enforce the law, and citizens deserve law breakers to face legal consequences,” the governor said in a Facebook Live video that aired on Sunday. “Texans expect us to keep them safe, and that is exactly what we are going to do by me signing this law,” he said. The law, which comes under an administration that has promised crackdowns on immigration, goes into effect Sept. 1. As Abbott outlined in the video, the law requires police officers to cooperate with Immigration and Customs Enforcement agents and ensures that law enforcement and other local leaders don’t ignore ICE requests to detain someone. Those individuals could face jail time or removal from office should they not comply with the ban. Cities, counties and colleges would also have to pay penalties up to $25,000 per day for a violation, after a first offense and fee of $1,000. 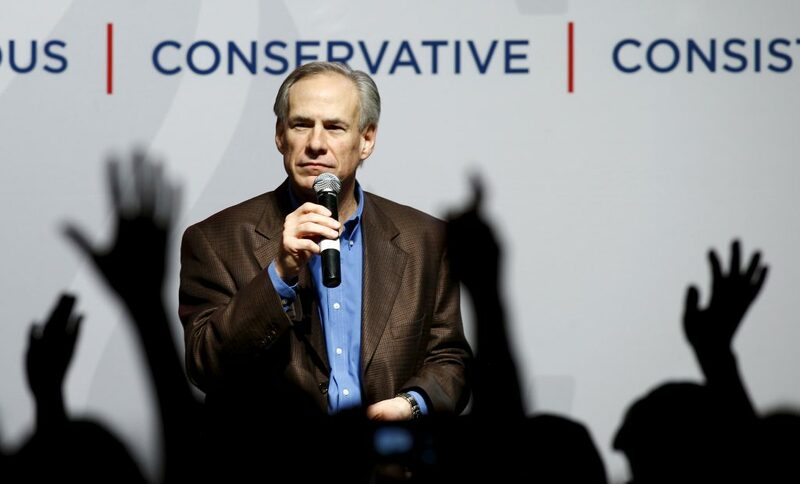 Abbott said the state of Texas supports legal immigration, “but legal immigration is different from harboring people who have committed dangerous crimes.” It’s an argument that the governor, the architects of the law and proponents of the ban have been making; if unauthorized immigrants aren’t detained in time, they could go on to commit more dangerous crimes, they argue. Abbott also specifically named Travis County Sheriff Sally Hernandez as an example of a sheriff that has refused to fully cooperate with ICE requests to detain undocumented immigrants unless there was a warrant. After President Trump was sworn in, Texas sheriff Sally Hernandez made a policy change limiting cooperation with agents from Immigration and Customs Enforcement. It has drawn criticism and retaliation, William Brangham reports. 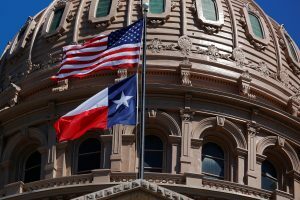 When the Senate Bill 4 was first pushed through the Texas Legislature, Hernandez said in a statement to NewsHour that while she agreed to comply with the law, she was “disappointed” in its passage. “This is not in the best interest of public safety,” Hernandez said in a statement. “It ties the hands of our law enforcement agency and pushes victims of crime into the shadows,” she wrote. In March, the largest association of police chiefs in the country released a statement saying that policies against sanctuary cities are “counter-productive” to reducing violent crime in a community. “Local law enforcement agencies depend on the cooperation of immigrants, legal or not, in solving a wide array of crimes,” the International Association of Chiefs of Police wrote. Later Sunday night, protesters gathered at the Governor’s Mansion to decry the bill’s signing, The Dallas Morning News reported. Terri Burke, executive director of the ACLU of Texas, called the law “racist” and “wrongheaded” in a statement on Sunday.